Chobe National Park is well known for its large herds of elephant that frequent the Chobe River on a daily basis. In the dry season an estimate of up to 85,000 elephants can be dispersed within the Chobe National Park, where the majority of them can be found along the river. Apart from the herds of elephants, Chobe also has lots more to offer. 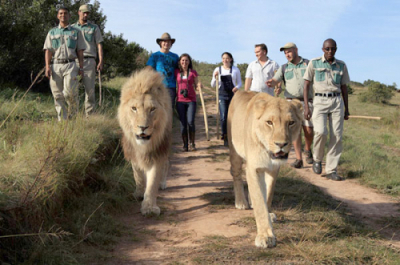 The Park has lion, leopard, buffalo and a whole host of antelope like sable, puku, kudu, eland, roan and many others which you can get to see. The river is filled with big pods of hippos and some of the biggest crocodiles in Africa. Please note: Excludes Chobe National Park Fees which is currently US$15.00/person & any Visa Fees. Don’t miss the opportunity to capture this precious time of day in all it’s glory. For lunch, the boat sails away from the commotion of town to explore the islands above the Victoria Falls. From March to June, when the Victoria Falls are in full flood, bungi operating times will commence at 10 A.M. Please note that all activities are subject to availability. Visa fees are NOT included. Rates exclude National Park Fees that are subject to change without notice.